Take a step back in time at this gorgeous historic home full of old world charm right in the heart of downtown Hamilton! 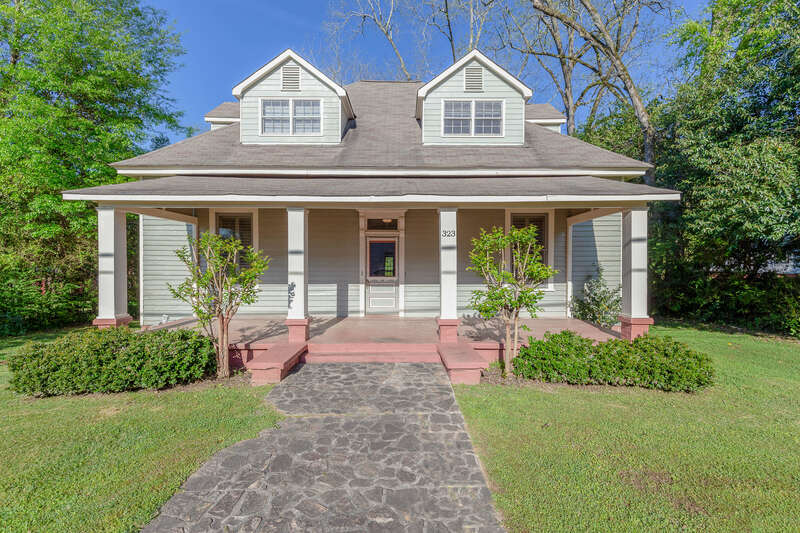 The expansive Southern style front porch is perfect for rocking chairs or a swing while overlooking the activity in the town square - just a quick walk to quaint shops & businesses! Beautiful heart pine floors, classic wide central hall, exposed beams & brick, 12 ft. ceilings & more are just some of the details that make it easy to fall in LOVE w/ this gem. The main floor features 2 traditional large rooms for living area, dining, office or more! The master suite is on the main w/ fantastic updated bathroom - vintage style tiled floor & tiled shower/tub combo. The kitchen is amazing - rustic exposed beams, wood burning fireplace & lots of room for the chef to enjoy preparing meals! Upstairs are 4 additional bedrooms & a full bath! The back deck overlooks the private back yard w/ lots of green space to play & a tree perfect for a tire swing!